R3 #1 McEachern 66, R7 #2 Norcross 62 OT: Caleb Murphy hit a late three to send the game to overtime, but Norcross fell to undefeated McEachern. Sharife Cooper finished with 26 points. Kyle Sturdivant scored 23 for the Blue Devils. R7 #1 Meadowcreek 73, R1 #1 Tift County 36: South Florida-signee Jamir Chaplin scored 20 points followed by UAB-signee Jalen Benjamin’s 19 and Temple-signee Damian Dunn’s 11. Kedrick Green added 7 points. Tyree Marshall had 17 points in the loss for Tift County. R5 #1 Tri-Cities 83, R2 #1 Brunswick 74: Region 5 Player of the Year Titus Hunter poured in 28 points and DaMarcus Johnson netted 20 as the Bulldogs sank Brunswick. Demetrius Rives scored 15. Kelan Walker scored 13 points in the loss while Region Player of the Year Joyful Hawkins was held to 7 points, 10 rebounds and 4 blocks. R4 #1 Tucker 52, R3 #3 Heritage-Conyers 46: Braelon Seals scored 19 points and Dartmouth-signee Nate Ogbu put up 17 points and 10 rebounds as the Tigers clinched a state championship berth. Jermontae Hill netted 8 points. Heritage-Conyers was led by Trelan Scott’s 16 points and Josh Guilford’s 13. R8 #1 Buford 59, R5 #1 Southwest DeKalb 50: Donell Nixon scored 20 points, hitting 6 threes in the win. KD Johnson scored 17 points in the loss while James Glisson had 12. R3 #2 Fayette County 69, R5 #2 Lithonia 62: Ricky Knight hit a three with 5.3 seconds left in regulation to force overtime. Knight had 20 points to lead Fayette County while William Richard scored 16 points and JeKobr Coleman netted 15. Lithonia was led by Eric Gaines’ 16 points and 11 rebounds. Justin Myles pitched in 16 points. R1 #2 Americus-Sumter 63, R5 #1 Sandy Creek 56: Josh Lusane had 19 points and 11 rebounds as the Panthers rolled into the state championship. Drexel-signee TJ Bickerstaff had 21 points, 10 rebounds, 4 assists and 5 steals for Sandy Creek. Julian Alexander chipped in 13 points and 3 assists. R1 #1 Carver-Columbus 58, R4 #1 Woodward Academy 50: Carver-Columbus pulled away late to set up an all Region 1 match up in Macon. AJ Watts piled in 28 points. In the loss, Walker Kessler had 26 points, 10 rebounds and 10 blocks. Michael Whitmore had 9 points, 3 assists and 4 steals. R8 #3 Hart County 71, R7 #1 Dawson County 56: Rex McCord scored 28 points, Jordan Langston had 19 and Shone Webb added 12 as the Bulldogs’ quickness flustered Dawson County from the opening tip. In the defeat, Luke Chism finished with 18 points and 16 rebounds. Jasper Gibson had 18 points, 5 rebounds, 3 assists and 3 steals. Ahmad Kamara contributed 12 points. R8 #1 Morgan County 80, R3 #1 Windsor Forest 63: Austin Peay-signee Alec Woodard led Morgan County with 23 points, while Tyrin Lawrence scored 21 and Stevin Green added 18. Windsor Forest saw Shamar Norman (14) and Zim Fields (9) combine for just 23 points. R6 #2 Therrell 57, R8 #1 Elbert County 47: Therrell erased a 34-20 halftime deficit by outscoring Elbert County 19-4 in the third quarter. Robbie Armbrester had 17 points and 10 rebounds while Cam Fortson had 13 points, 14 rebounds, 3 assists and 3 blocks. Zyquan Morton nailed three threes and finished with 11 points, 3 rebounds, 4 assists and 2 steals. Ra’Sean Frederick hit the dagger at the 1:06 mark to make it 50-45. Frederick finished with 10 points, 8 rebounds and 2 assists. In the loss, AJ James had 15 points, 7 rebounds, 2 assists and 1 block. Jaqirus Harris and Ty Hill scored 11 apiece. Jamison Syphore added 7 points and 11 rebounds. 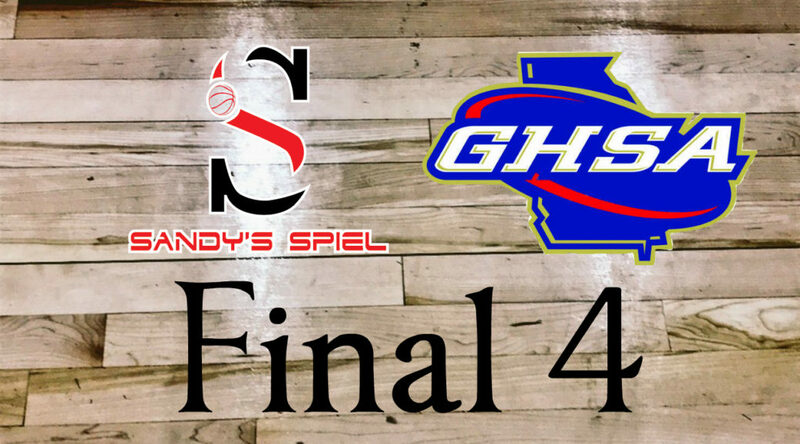 R2 #2 Vidalia 53, R4 #1 Laney 44: The magic number once again was 46, as the Indians held Laney below the highest point total they have allowed all post season. Xavier McClendon had 16 points — 14 in the second half and 10 rebounds. 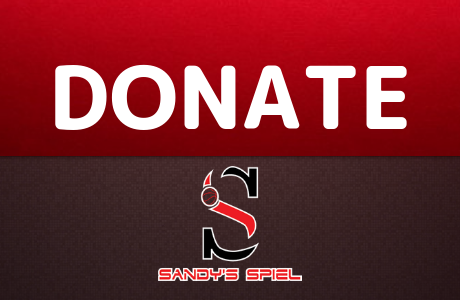 Antrell Williams had 9 points and Johnathon Moody and Anthony Jones scored 7 apiece. Jarvis Washington finished with 12 points and 5 rebounds for Laney. Matthew Jones had 10 points. #1 St. Francis 65, #4 Mt. Bethel 63: Xavier-commit Dwon Odom had 19 points, 7 rebounds and 9 assists while CJ Riley hit 5 threes en route to 19 points. Chase Ellis posted 11 points, 7 rebounds and 5 assists. Seth Hubbard scored 8 points. Mt. Bethel was powered by Stanley Eze (27), Coleman Boyd (17) and Jordan Meka (15). #2 ELCA 60, #6 Christian Heritage 44: Kamari Smith netted 19 points to pace ELCA. Kelvin Jones had 11 points and Jordan Smalls added 8 points. College of Charleston-signee Trevon Reddish scored 15 points. Christian Heritage saw AJ Kent score 20 in the loss. #1 Calhoun County 77, #5 Wilkinson County 69 2OT: Bryan Smith scored 30 points as the Cougars dethroned the three-time defending state champs. #2 Treutlen 74, #3 Irwin County 72: Treutlen advanced on a layup with 2.1 seconds left from Arkavias Lovett. Lovett ended the game with 17 points while Ka’Sabian Mitchell led the Vikings with 20. R2 #1 Westlake 48, R5 #1 North Forsyth 26: Westlake led 21-5 at the half and never allowed North Forsyth an idea of an upset. Snoop Turnage scored 14 points. In the loss Caroline Martin scored 8 points. R6 #1 Collins Hill 58, R4 #1 Cherokee 48: Purdue-signee Bria Harmon scored 21 points to lead the Eagles. Chatham Brown netted 10 in the loss. North Georgia-signee Lacie McCoy scored 9 points and Ashlyn Andrus had 8. R8 #1 Lanier 44, R4 #2 Forest Park 38: The Longhorns shot 8% in the first half and trailed 22-13 late in the third quarter before shocking the Panthers. Lanier took their first lead with 3:25 remaining at 34-32. Mekala Fuller (15), Nala Lawrence (10) and Christabel Ezumah (10) led the charge. Sania Feagin led Forest Park with 12. Destiny Thomas scored 10 points and Sarah Matthews netted 9. R4 #1 Lovejoy 69, R1 #1 Valdosta 46: Anaya Boyd had 17 points, 7 rebounds, 6 assists, 3 steals and 4 blocks in the win. Genesis Bryant had 16 points, 8 rebounds and 3 assists. In the loss, Ja’mya Johnson had 17 points and 7 rebounds. Nia Allen chipped in 14 points and 11 rebounds. R8 #1 Buford 51, R5 #1 Southwest DeKalb 38: Tate Walters finished with 21 points, 7 rebounds and 3 steals. Ebony Grant posted 6 points and 12 rebounds. Preston Reid collected 6 points, 4 rebounds, 4 assists and 5 steals. R7 #1 Villa Rica 57, R5 #2 Columbia 50: Kentucky-signee Deasia Merrill went 6-of-8 down the stretch from the line to ice a win for Villa Rica, finishing with 26 points and 19 rebounds. Dekiya Cofield scored 12 in the win. Columbia was led by Shontrice Austin’s 16 points and 12 rebounds. Constance Thomas had 8 points and 12 rebounds. India Terrell scored 12. R2 #1 Spalding 50, R4 #2 Luella 28: Corriana Evans scored 17 poinys while Aniya Jester had 13 in the win, pulling away after leading 23-22 at the half. Keely Brown scored 9 points and Paris Miller 7 in the loss. R1 #1 Carver-Columbus 74, R7 #1 Flowery Branch 70: Olivia Cochran scored 29 points and grabbed 16 rebounds to power Carver-Columbus. Georgia College-commit Caroline Wysocki led the Lady Falcons with 21 points and Ashley Woodroffe scored 20 in the loss. Ashley Scott had 12 points. R8 #1 Hart County 62, R3 #1 Beach 58: Hart County rallied from down 12 points in the fourth quarter to stun Beach. Western Kentucky-signee Torrion Starks took over with 35 points. Shakendra Grove drilled five threes. Madison Evans led Beach with 23 points. Jaida Burgess had 13 points in the loss. R3 #2 Johnson-Savannah 64, R6 #1 Sonoraville 52: J’Mya Cutter netted 17 points to lead the Atomsmashers. Antalazia Baker chipped in 13 points while Zoriah Mobley, Jasmine Thompson and Checobia Hugie all pitched in 9 points. Maliyah Parks led Sonoraville with 20 points while Abby Chambers had 12. R1 #2 Early County 74, R7 #3 Model 60: Makayla Timpson was too much inside with 30 points, 22 rebounds, 3 assists and 6 blocks. Janya Williams hit 5 threes en route to 21 points. Ta’Ziaya Jones posted 13 points and 9 rebounds. In the loss, Libby Upton had 16 points, 12 rebounds, 3 assists and 3 steals. Montana Moats scored 15 points. Madison Harper had 13 points, 5 rebounds and 2 blocks. Megan Kent totaled 8 points, 10 rebounds, 3 steals and 3 blocks. R6 #1 Douglass 66, R4 #1 Laney 60: Down by as many as 12 points in the first half, Douglass regrouped and used a 13-0 run spanning the third and early fourth quarter to take control and eliminate the two-time defending state champs. Jacksonville State-signee Nekiyah Thompson went for 27 points (12-13 FT), 3 rebounds, 4 assists and 2 steals while Ashuntee Weems had 15 points, 9 rebounds, 4 steals and 1 block. Ashley McKee scored 11 points. Ikenya King tallied 9 points, 17 rebounds and 1 block. Laney got a career-night from Camille Smith, who scored the first 8 points of the game and scored 16 of her team-high 18 points in the first half. Santanna Dennis and Jaiden Hamilton scored 9 apiece. Hamilton limped off the floor at the 6:09 mark on the third quarter and did not return. #1 Holy Innocents’ 70, #5 Calvary Day 30: Freshman Marya Hudgens had 13 points and six rebounds. Jada Farrell had 12 points and nine rebounds. Jill Hollingshead had 10 points and eight rebounds. Jasmine Akins scored 14 points in the loss. #6 Wesleyan 66, #2 St. Francis 52 : St. Francis fell flat against Wesleyan for the second year in a row as AC Carter posted 25 points and 19 rebounds. Callie Weaver scored 11 points. Paige Lyons and Nicole Azar each netted 10 points. #4 Marion County 57, #8 Clinch County 49: Jameshia Williams netted 18 points to power Marion County. Clinch County received 19 points from Zyhia Johnson. #3 Calhoun County 46, #2 Telfair County 42: Destiny Hightower hit a late three to send Calhoun County to the title game. 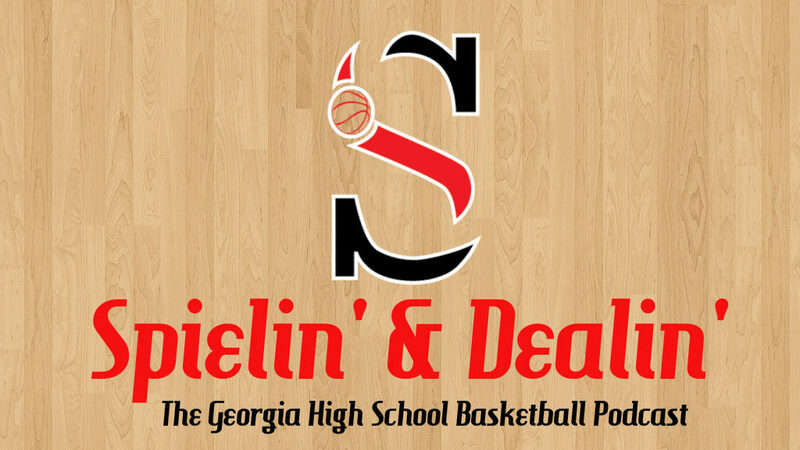 Kyle Sandy previews and predicts all 32 boys basketball match-ups across Georgia for the GHSA Elite 8. 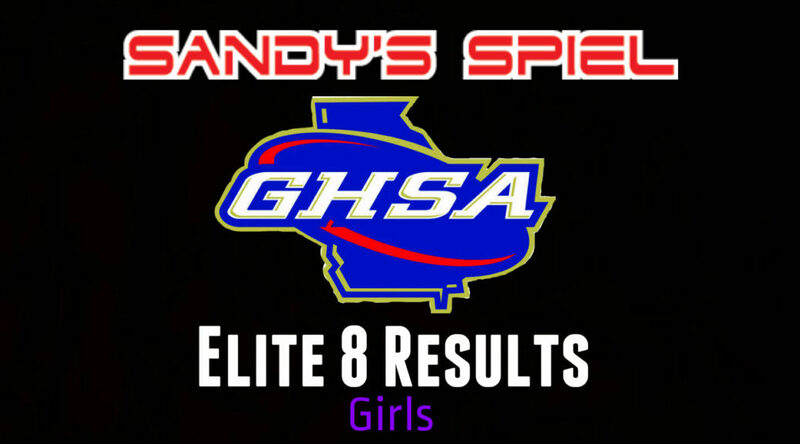 Kyle Sandy previews all 32 girls basketball match-ups across Georgia for the GHSA Elite 8.